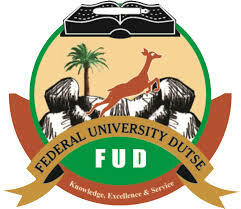 THE management of Federal University, Dutse, (FUD) has released the FIRST and SECOND Batch UTME Admission List of candidates who are offered provisional admission into the Institution for the 2018/2019 academic session. The released FUDutse UTME admission list has been uploaded on the college website and all the candidates who participated in the Post UTME screening can also check their admission status on JAMB CAPs Admission portal. Related: FUDutse DE Admission List has also been released, candidates who applied for Direct Entry admission can check the admission list here. The FUDUTSE Admission List has been forwarded to the Joint Admission and Matriculation Board, JAMB and candidates who took part in the aptitude test can check their admission status on JAMB CAP Portal HERE. Update: The Federal University Dutse, (FUD) 1st and 2nd Batch UTME Admission List for the 2018/2019 academic session is out on the school portal. Follow the instructions below to check your admission status. Step 4: Click on the “Check” button to access your admission status. The collection of Admission letters and registration has been scheduled to begin on Monday, 15th October, 2018. Successfully admitted candidates will be required to pay the sum of Five thousand naira (N5,000.00 only) non-refundable admission acceptance fee before collection of admission letters. Admitted candidates should ensure to indicate the Acceptance of this admissions offer on the Joint Admission and Matriculation Board, JAMB Central Admission Processing System, CAP Portal, Printout the JAMB Admission Letter, which should be presented along with original copies of JAMB Result slip, Academic Credentials, for clearance at the respective Departments/Faculties. Note: Those whose names appeared on the first and second batch admission list are advised to uploaded their O’Level results on the JAMB website. Admitted candidates should CLICK HERE for details on how to pay their acceptance fee and collect their admission letter. Congratulations! when Fud upload their admission on school website. We will update this article when they do. We will inform you and other applicants when it is out. Am having upp of d certificate is not for national diploma.